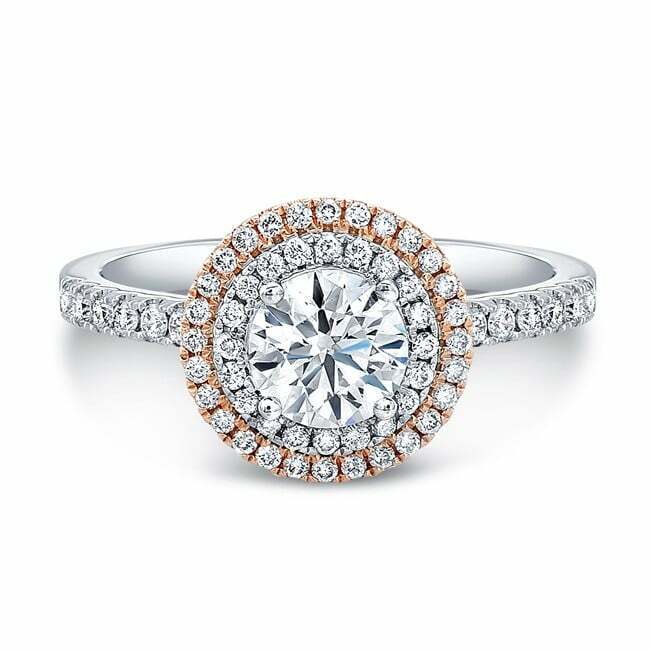 The classic diamond halo is softened with the luminous glow of a second ring crafted in 18k rose gold. 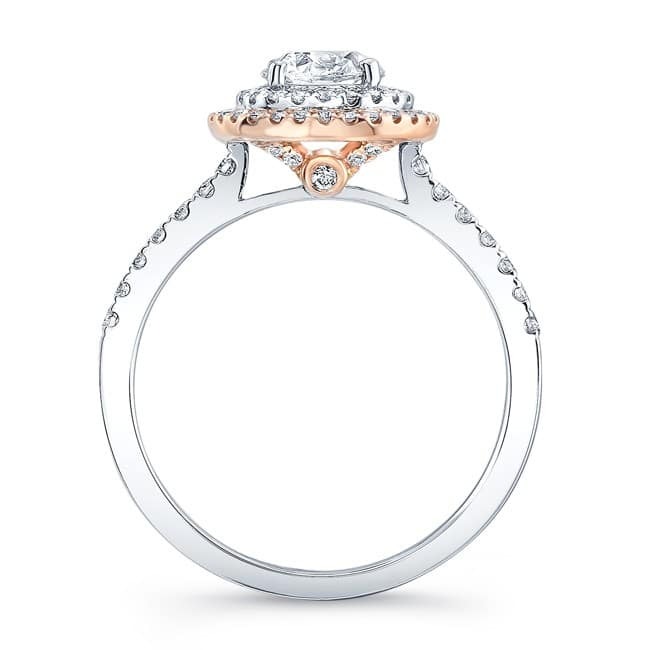 A touch of rose gold can be seen in the profile, bezel set with a single white diamond. A total of 72 white diamonds, at 0.41cts., sparkle on this romantic Natalie K for Forevermark® engagement ring semi-mount.